Delta gives you the option of using continuous and momentary stimulation, vibration or tone. Or, use all 3 in the same session. With 3 correction configurations (viewable in the LCD display), you can select the training option best suited to the situation and dog temperament. Delta Sport offers the ability to control up to 3 dogs (with additional dog devices sold separately) and quickly change between them. 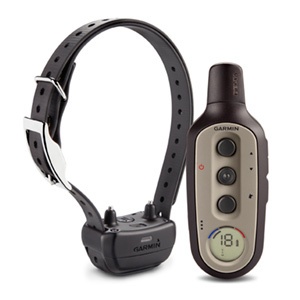 Delta Sport is the first electronic dog training system with BarkLimiter™ built right in. BarkLimiter recognizes the difference between wanted and unwanted barks as well as vibration from scratching and scraping or from other dogs’ barks. It virtually eliminates false and over correction. Autorise adjusts the training level up to the optimum level needed to stop unwanted barking. You can also switch to manual mode for more control.